Posted by fliere on Thursday, January 3, 2019 in Events, News. The event will take place on Thursday, January 17 at noon in Buttrick 123. A kosher lunch will be provided. Co-sponsored by the Department of History and Classics and Mediterranean Studies. A violent altercation between a Jewish city councilman and a Palestinian Arab sesame bagel seller in Jerusalem in July 2018 and its heated online aftermath epitomize the ongoing physical and symbolic struggles over the city’s ownership, character, and the status of its various residents. But when, how and why did Jerusalem became such a quintessentially divided and conflicted city? This lecture examines the transformation of Jerusalem from a multiethnic Ottoman city in which Muslims, Christians, and Jews lived and worked in shared—if at times contested—city spaces, to the thoroughly sectarianized and nationalized city it is today. Over a period of several decades before the 1948 war, Jerusalem’s residents sorted themselves into largely homogeneous neighborhoods, the municipal council’s Jewish and Arab members stopped speaking to each other let alone working together, and the city suffered through three major violent riots as well as ongoing urban unrest and competition. Then, as now, Jerusalemites were forced to mediate countervailing communal, economic, theological, and political pressures in an uneasily shared urban space. 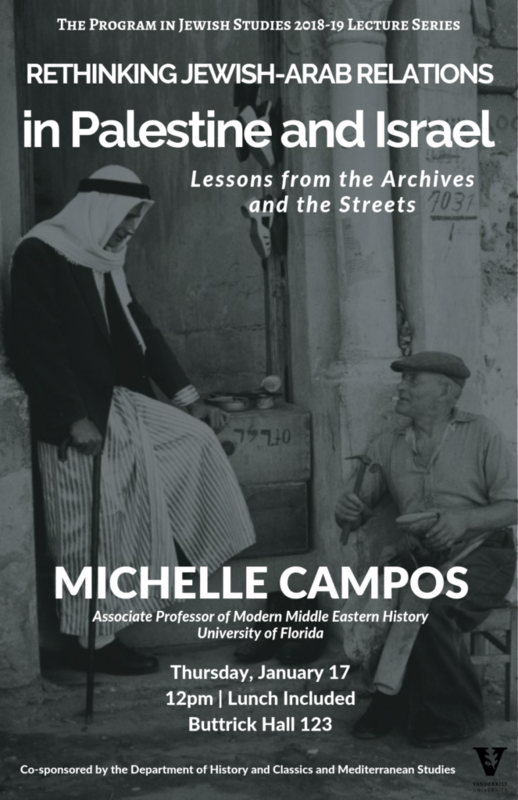 Michelle Campos is an Associate Professor of Modern Middle Eastern History at the University of Florida. A graduate of Stanford University (’93, MA ’97, PhD ’03) and a former Fulbrighter, Dr. Campos has lived and researched in Israel/Palestine, Egypt, Turkey, and Germany. Her scholarly areas of interest include the late Ottoman Empire and its political culture, the social history of historical Palestine, Muslim/Non-Muslim relations, Middle Eastern urban history, and the digital humanities (particularly spatial history and social networks). Dr. Campos’s first book, Ottoman Brothers: Muslims, Christians, and Jews in Early-Twentieth Century Palestine, explored the development of Ottoman collective identity in the aftermath of the July 1908 Ottoman revolution, tracing how Muslims, Christians, and Jews defined, practiced, and contested the contours of imperial citizenship and local belonging. 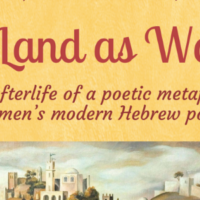 Ottoman Brothers was the recipient of the 2010 Yonatan Shapiro Award for Best Book in Israel Studies, awarded by the Association for Israel Studies, as well as the 2011 National Jewish Book Award in Sephardic Culture. A Turkish-language translation entitled Osmanlı Kardeşler was published by Koç University Press in 2015. Dr. Campos’s research also has been published in the International Journal of Middle East Studies, Comparative Studies of South Asia, Africa, and the Middle East, Ab Imperio, Journal of Modern Jewish Studies, Jerusalem Quarterly File, and in numerous edited books. Dr. Campos is currently writing an urban social history of nineteenth and twentieth century Jerusalem. This project has been funded by a fellowship from the National Endowment for the Humanities.